Rich, in name and spirit, in rural Ohio: Despite sacrifices, minister reaps a harvest of blessings with a 200-year-old congregation (reporting from Beallsville, Ohio). Page 1 lead. Third part of “Rural Redemption” series. BEALLSVILLE, Ohio — Just after 9 a.m. on a recent Sunday, the well-worn tires on Jeff Rich’s 2003 minivan crunch over a gravel road full of twists, hills and narrow lanes. Already up for hours, the Beallsville Church of Christ minister just finished leading worship for a half-dozen residents of the Monroe County Care Center. After leaving the nursing home, Rich stirs up a cloud of dust as he drives through farming and coal-mining country to pick up folks for the church’s regular assembly. 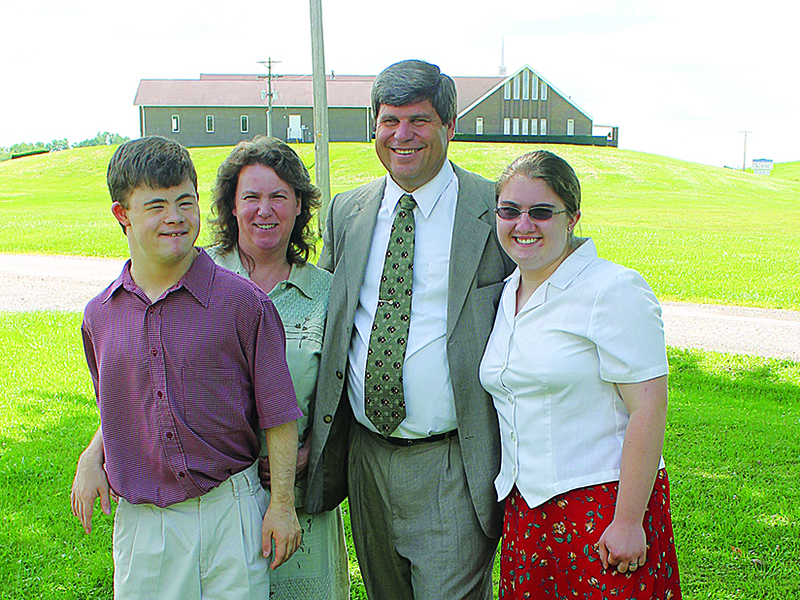 For more than a dozen years, Rich has preached full time for this southeastern Ohio church — a 100-member congregation that meets in a large, red-brick building just off State Route 145. It’s no cushy preaching job, by any means. But Rich treasures the peace and presence of God he has found in a part of rural America others might see as depressed or declining. Delaware church inspired to feed hungry families (reporting from Wilmington, Del.) Page 1. Baseball fan’s orange T-shirt is for the Birds (column from Baltimore). Inside Story. National campus ministry group adopts new name (reporting from Newark, Del.). Second Front. This post highlights my stories in the October 2013 print edition of The Christian Chronicle.